Now get 80% off Restaurant.com $25 Gift Certificates! Use code PUMPKIN at checkout through 10/25/10. Now get 80% off Dinner of the Month Club purchases! Use code PUMPKIN at checkout through 10/25/10. old navy fleece deal online as well! Remember my post below on Old Navy fleece for $5 this Saturday? You can now order performance fleece Online for just $5.00. To make this deal even sweeter, use code ONTREAT at checkout to score them for just $4.25 each! Happy Birthday, Ben! I didn't know what to get you and then I remembered you envied Brielle's birthday post, so here you are! Ok, I did know what to get you, but as you yourself said, "wild game is free food, if you can catch it." I can't catch it. Ewww. 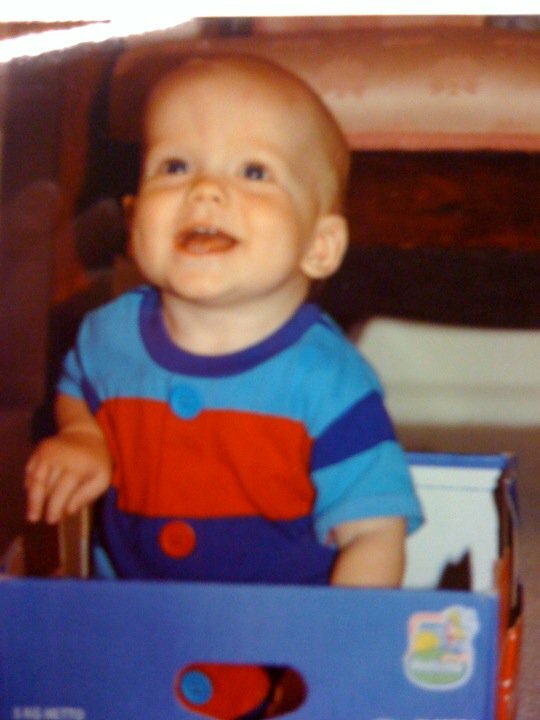 This is soooooo cute, but alas these days are gone at our house. 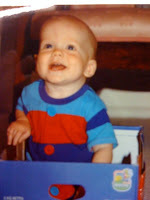 I have always been a sucker for wooden toys. Maybe someone would like to try and hide this away for Christmas?? Only for as long as supplies last!!! 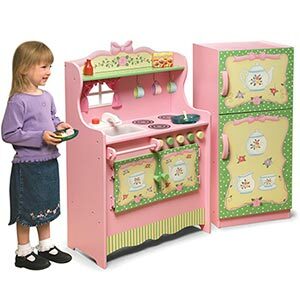 The perfect kitchen for little girls who do a lot of entertaining! Set includes an all-in-one kitchen and a refrigerator. Detailed, painted tea party motif is welcoming to your pint-sized hostess and her gracious guests. In Pennsylvania we are blessed with four beautiful seasons, and with them come all kinds of weather! I remember one fall storm after the twins came home with monitors that the power went out-a little unsettling! I should have had them registered right away with the emergency response teams in our area so that they would have made our home a priority for restoring the power. Bucks, Chester and Montgomery Counties have jointly developed this registry to allow citizens with special needs and their associates an opportunity to provide information to emergency response agencies, so emergency responders can better plan to serve them in a disaster or other emergencies. For the purpose of this project, a special needs individual is someone who cannot receive, understand or act upon emergency protective orders. The information collected here will not be available to the public. The information will be held securely and only accessed for the purpose of emergency response and planning. Please be as complete as possible in your responses. You will be e-mailed periodically to verify and ensure the information provided is correct and to make any necessary changes. Individual surveys will be archived after one year if not verified and facility surveys will be archived after six months if not verified. ALL GOD'S CHILDREN DINNER THEATER, including a chili cook off among chuches and awesome talent show by kids from Quakertown Christian School and Joni and Friends. Don't miss this great evening of family entertainment, all while supporting two great ministries. Join us this Saturday 10/23 at 5 pm at QCS 50 E Paletown Road in Quakertown. 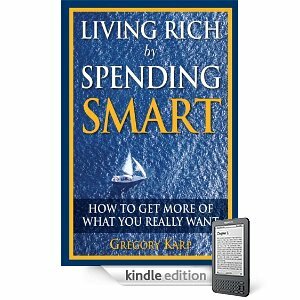 Did you realize you don't need a Kindle to read Kindle books? There are applications for your PC, Mac, iPhone, iPod Touch, etc. to read their books. Get a free subscription to American Baby and Baby Talk magazines when you sign up here. Get 25% off one item with this printable coupon from Sports Authority...good October 21 through 25. I hope someone is able to find this list useful! The importance of involving parents in the education of elementary and secondary school students is widely encouraged. In fact, federal law—the Individuals with Disabilities Education Act (IDEA)—has created a process to involve parents in the education of their children with disabilities. Once youth with disabilities graduate from high school, however, resources and guidance to help parents with this challenging new phase of parenting become difficult to find. Yet, parents continue to be important role models and guides for their young adult sons and daughters. For students with disabilities, parents may be a key part of the support network they need to succeed in the postsecondary environment. Lighted Hydrangea Floral Wreath from $16.99 to $9.97. Plus, code 3JM2D1 gets you free shipping. This wreath features golden colored LED lights and measures 18.5-inches in diameter. There is no sales tax (except IL, KS). I am lost without my flip flops --these look comfy and cute for the cool weather! 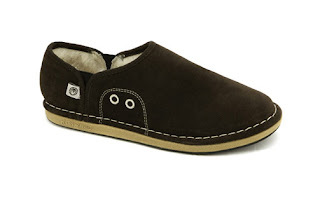 Style, comfort and warmth all rolled into one amazing Fuzzy Slip-On from Ocean Minded™. With a uniquely stylish upper and a genuine wool shearling lining this shoe is the perfect any time option for your wardrobe. Better yet, they are on sale! Crocs drops the price of the Women's and Men's Fuzzy Slip Ons in all colors from $70 to $29.99. Lower them to $23.99 via code ALLYOU at checkout. Even better, get free shipping via code springfreeship, which stacks on the code. The shipping discount does not show up until the very end of the checkout. Some sizes and colors are limited and there is no sales tax (except CA). other offers or promotions. Limit 1 coupon per household/business. CLICK HERE to get a FREE Diamond Dazzle Stik ($7.95 value)! It makes your diamonds sparkle! Now is the time to sign up for Swagbucks...EXTRA 30 bonus points! New Swagbucks Members - 30 Extra Swagbucks!Now through October 22, anyone who signs up for Swagbucks receives 60 Swagbucks instead of the normal 30! Just enter code SBTVisOnTheAir for the bonus 30! Get started HERE. 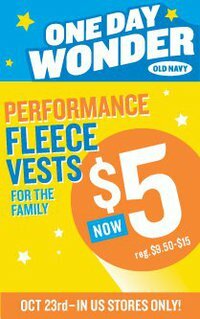 This Saturday, October 23rd, Old Navy is holding a One Day Wonder sale on Performance Fleece Vests for the family for only $5 each! Regular price is between $9.50 - $15! Limit 5 per customer and only available while supplies last. Some stores may open early for the sale. 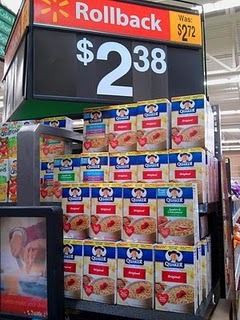 Walmart has Quaker Oatmeal on "rollback" for $2.38. Use the recent printable $2/1 Quaker Oatmeal coupon to score some very inexpensive $.38 Oatmeal! .....use the coupon code DINE to get the discount at checkout. Please present coupon when ordering. Valid through 11/25/2010 or until 500,000 free Orange 'n Crème Swirl Frutista Freeze® online coupons are redeemed, whichever occurs first. 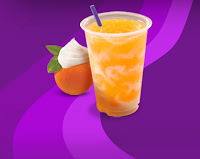 Notice will be posted at www.tacobell.com if 500,000 online coupons are redeemed prior to the expiration date, and any unredeemed online coupons will be void. Subject to availability; no substitutions. Not valid with any other offer. 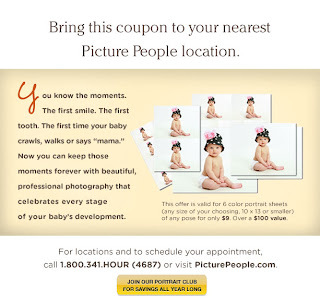 Limit one free online coupon per person. Valid at participating Taco Bell® locations in the U.S. Manager may refuse online coupon upon reasonable belief consumer has already received a free online coupon or has engaged in any fraudulent activity. Restaurant manager’s decision is final. Void if copied, reproduced or transferred and where prohibited. Cash redemption 1/20¢. ©2010 Taco Bell Corp. This is a "bricks" coupon, so after you hit PRINT and the print icon show up, hit your back button twice to get a second print...2 coupons. Maybe you have children or a spouse you can convince to do the same for more free juice. Ready for some holiday photos? 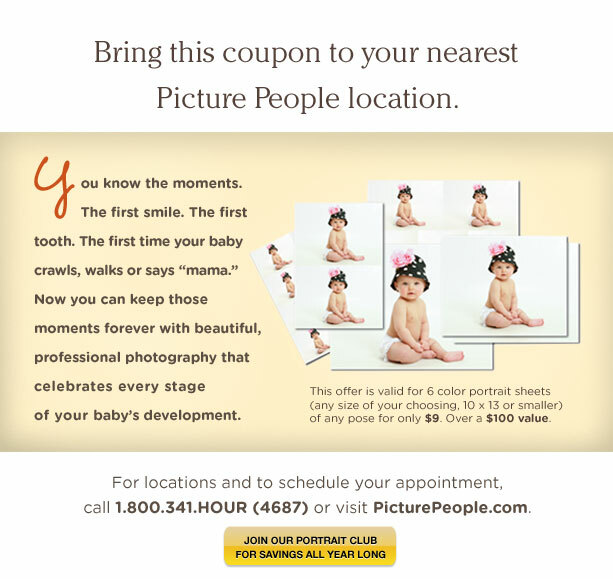 There is a printable coupon good for A Big Bundle Package (six color portrait sheets sized 10 x 13 or smaller of the same image) for ONLY $9 at Picture People. The price is regularly $100, so thats a 91% savings! Need a free movie rental tonight? Get a free rental at Blockbuster express using promo code MNDY1. Offer is good 10/18 only.